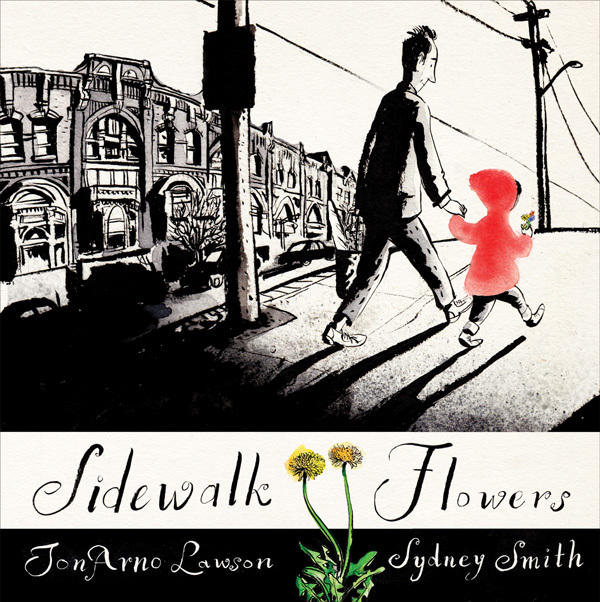 Sidewalk Flowers is a poem without words, a picture book that speaks to us. A little girl and her father are taking a walk in the city. The father is pre-occupied, worried, texting on his phone. He does not have time to look around. 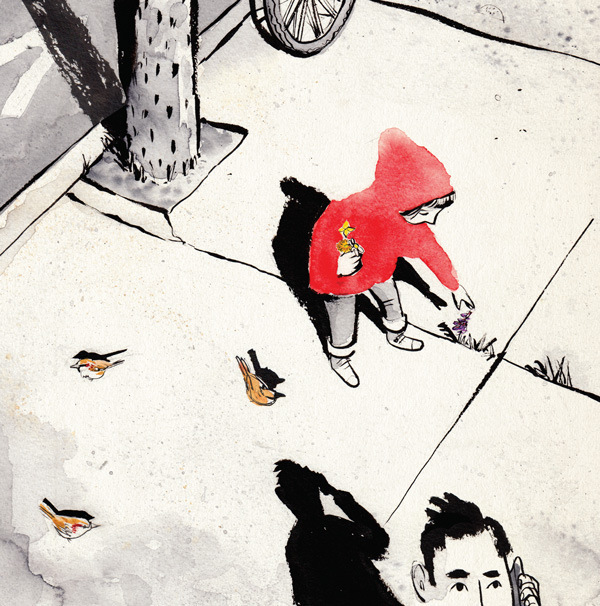 The little girl finds tiny flowers growing out of cracks in the sidewalk and she gathers them, each one a little treasure. 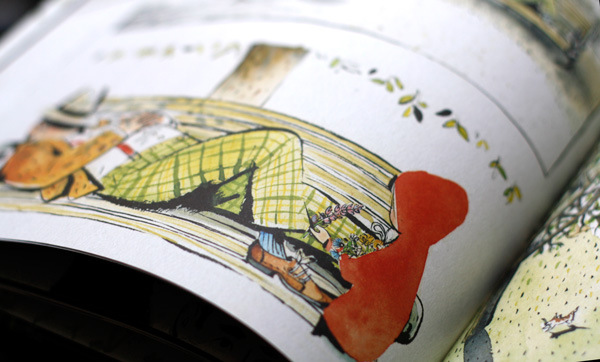 She is the only colour in a black and white city, dressed in a red cloak, a fairy-tale girl in an urban desert. At first only the flowers she picks are coloured, then gradually other objects are given colour and Life by the poet-artist-author of the book. 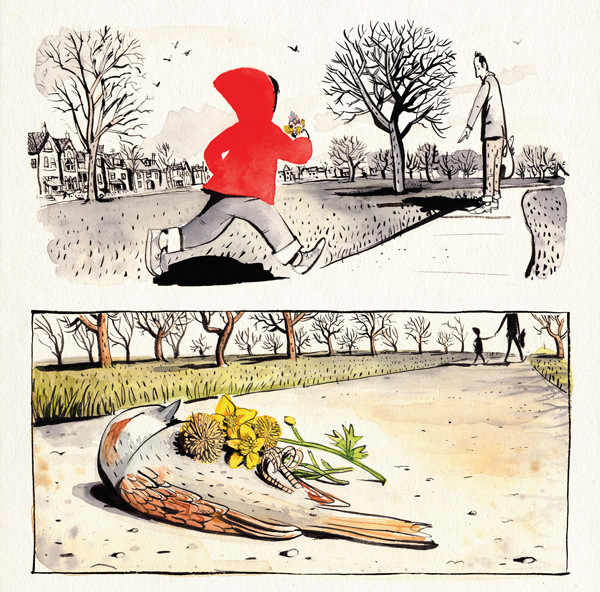 The little girl gives away all her tiny flowers and keeps none for herself. 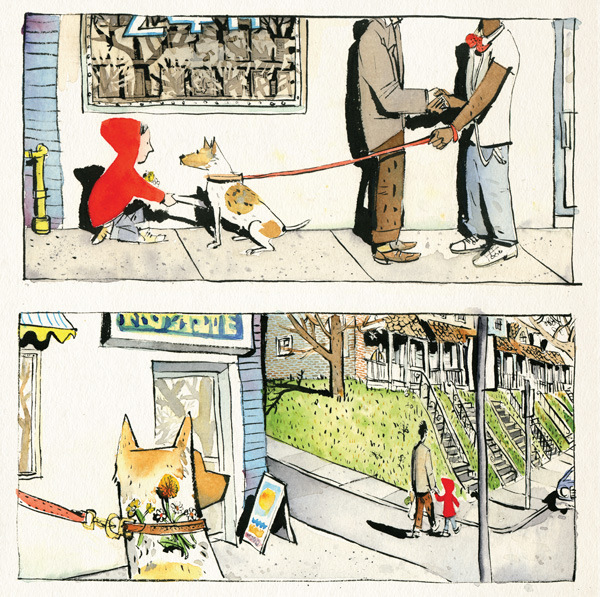 A man sleeping on a park bench, a friendly dog, a dead bird. She saves some for her family too. In a very symbolic final gesture she puts a flower behind her ear and looks up at the sky. We have the choice too. To look at the sky and to gather flowers, or to attach ourselves to our mobile phones and electronic devices. 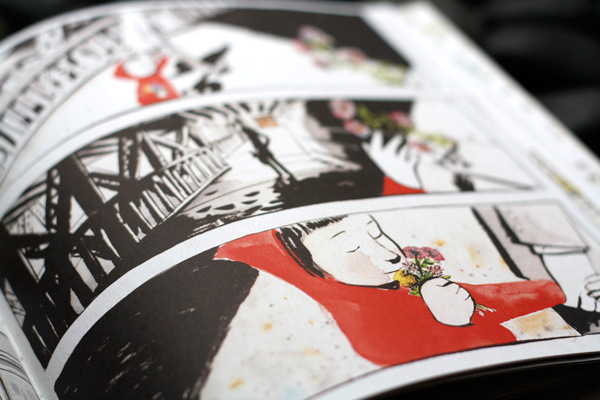 The book was inspired by the experience of the author-artist and his own little daughter. 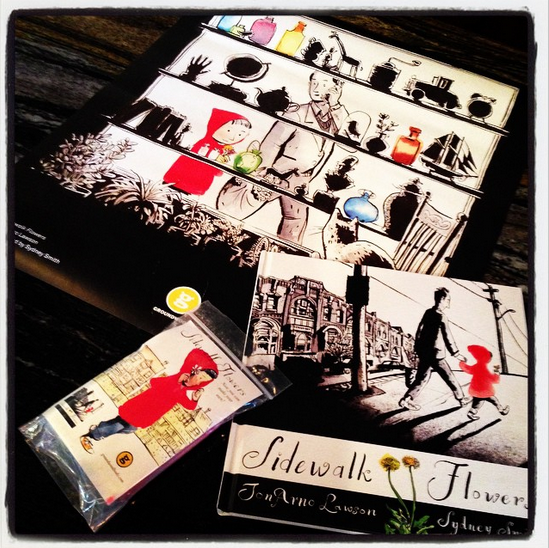 This entry was posted in Book Reviews and tagged 2015, award, brainpickings-reccommedation, Canadian poet, children's books, children-s-literature, classics, graphic-novel, JonArno Lawson, North American Children's Poetry, picture-book-favourites, Sidewalk Flowers, Sydney Smith, The Lion and the Unicorn Award, Toronto.